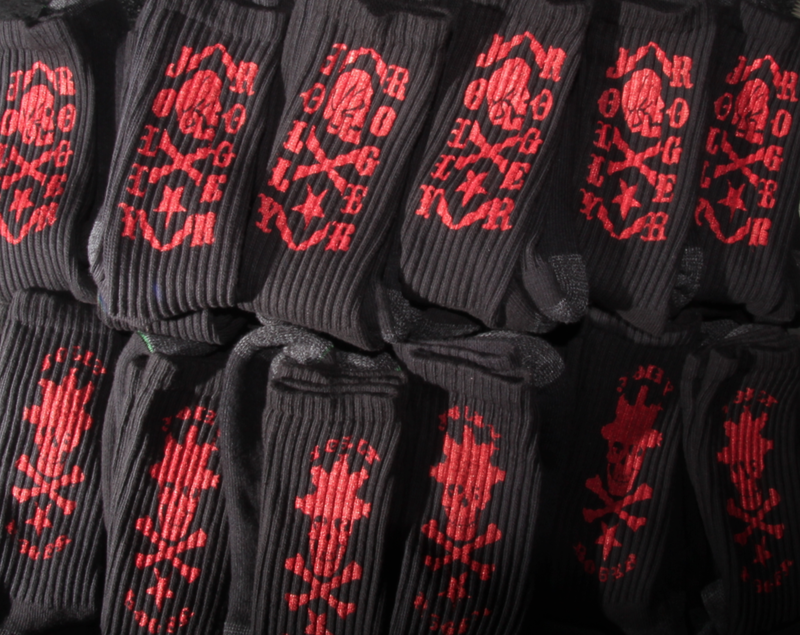 Jolly Roger Skateboards: Our Crew Socks are Back! Our Crew Socks are Back! We have more of our classic crew socks, with two new designs, in stock now! Come get some while you can! They are made in the USA, printed in a dark basement in Belleville, Illinois and they actually provide more cushion for when your pushin'. If you want to order a pair you can find them over on our online store. Just click HERE.